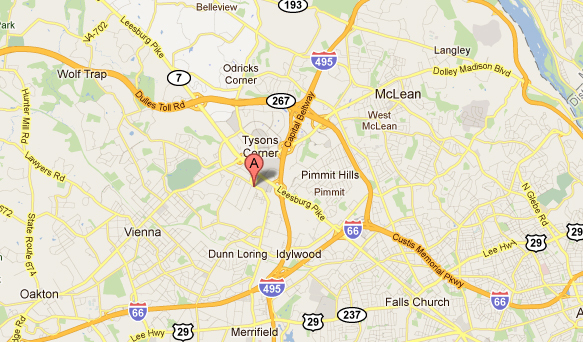 Take a Washington Flyer bus to West Falls Church Metro Station. Tickets may be purchased in the Baggage Claim Area. Take a taxi to Kusco. Take the Metrorail Blue Line (for Addison Rd) to Rosslyn Station(4th Stop) and transfer to the Orange Line (for Vienna) to Dunn Loring Station(7th Stop). Take a taxi to Kusco.